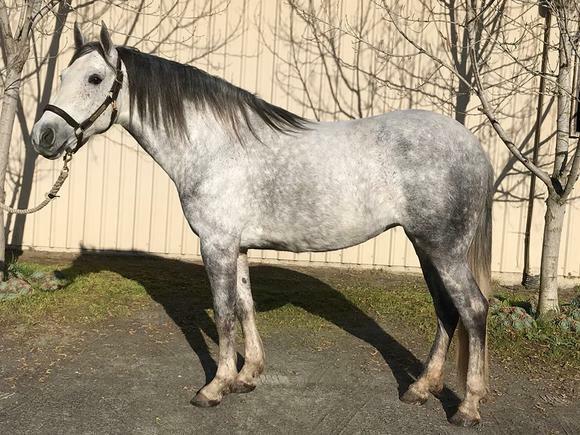 Ella was purchased off of the racetrack in the spring of '15, and was accepted into the Oldenburg MMB the following summer, with particular appreciation of conformation and movement by the inspectors. 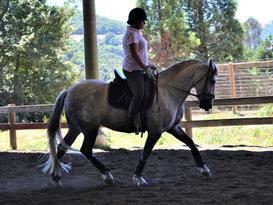 She has a sweet temperament, coupled with beautiful, airy gaits. Ella was chosen for her bloodlines that are heavily influenced by the larger boned European stock. She produced a flashy, leggy colt who scored an overall 7.9 and was branded Oldenburg! 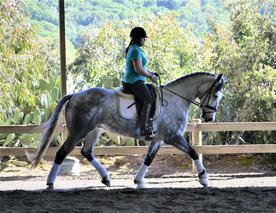 Ella is honest and willing under saddle, and shows lovely airy movement. Ella is a wonderful, doting mother, and was quite easy to get into foal. 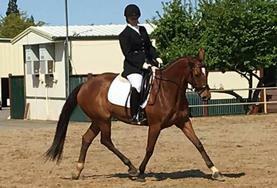 She is currently open, and can be bred, or become a very competitive sporthorse! Not only is Pietro the spitting image of his sire, but he inherited the cool confidence that was Peabody's trademark. This, combined with the balanced movment inherited from the royalty of his dam line, make Pietro a likely horse for the FEI ring!! This truly promising prospect scored an overall 7.8 points and is branded Oldenburg! Earned two reserve championships in the Breeder's Championships in 2016, and behind his brother, was the 2nd highest scoring yearling in the finals! Easy to trailer, lead, and handle. Born 4/14/16, Pietro is handled daily, and loves attention! Presto is as flashy as they get, with four white socks and a blaze. He is refined and elegant, with lovely airy movement---an excellent example of modern breeding. He is smart and inquisitive, with a very trainable personality. The judges awarded Presto a 7.9 overall score at his foal inspection, and he was the Champion of his first USDF breed show with a 79% Presto was the highest scoring yearling at the USDF Region 7 Breeder's Championship with a 74.658%! Easy to trailer, adjustable to new environments, and loves attention! Handled daily. 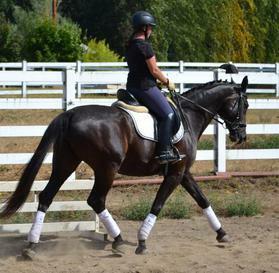 Elegant and lofty, this striking gelding has all the parts of an FEI horse in the making. Try Me showed 2nd level in 2018 (his debut season) with scores to 70+%, and finished the season winning Reserve Champion in the USDF/GAIG Open 2nd Level Championship.......a mere .018% out of 1st!! All the movements of 3rd level are well on their way, and he shows excellent aptitude for passage. He is kind and pleasant on the ground, and has a sincere work ethic. He enjoys hacks around the farm as well. He is sensible and not spooky, but is a sensitive and powerful horse suitable for a competitive am/yr/pro. Passed very thorough vet check in 6/2017! Want a German Riding pony, but can't remember the PIN for your Swiss bank account?? There is nothing this little fellow doesn't show aptitude for!!! After a wetting his toes in the cutting pen, Elmo came to Paradigm last spring. 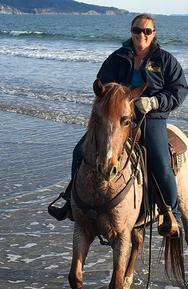 We gave him the summer off to be a kid, and have since started teaching him the ropes in dressage, in addition to jaunts on the beach, trail rides and an occasional cattle gathering. 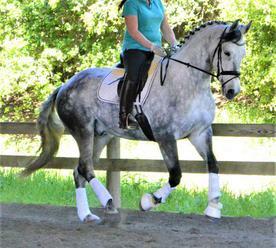 He has lovely, light, uphill movement and a a wonderfully willing and calm temperament. If you seek a balanced prospect with talent for the upper levels in an adorable package, you've found him! We see no limitations for this cutie!! We are very excited to present this talented youngster! 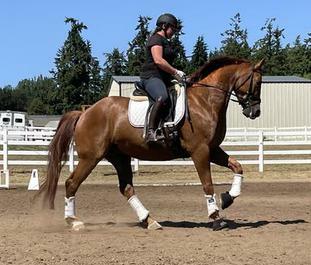 He has the iconic beauty, smooth gaits, and natural carrying power that trademark his breed, paired with a free, powerful shoulder that immediately catches the eye. Well started under saddle, he is a quick study and quite eager to please! 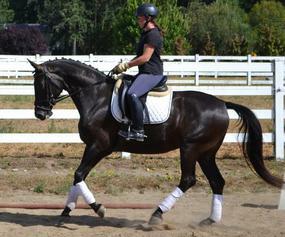 Recently gelded, King has integrated well into the general population of the barn. 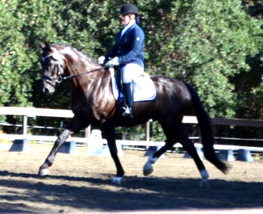 King's dam sire, Kamiakin, represented the US at the Alltech World Equestrian Games in Para-dressage, and has achieved much success through the I-1 level in open dressage----and King promises to follow in his footsteps! Price to increase with training, grab him while he is still affordable!!!! Boogie is an expressive, balanced mover with plenty of potential for the advanced levels. 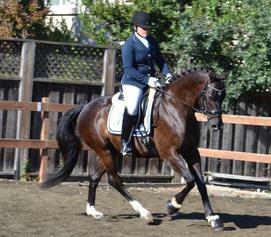 He is solid 1st level and had previously schooled changes, pirouettes, half pass, and half steps. He has an engaging 'in your pocket' personality and enjoys his people time immensely. He is largely a quiet, easy going fellow, but can occasionally have an 'air above ground', so he is best suited to a confident, savvy rider. He spent the winter out in pasture and recently started back to work. 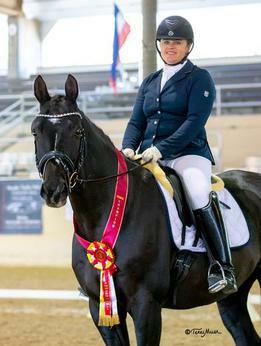 Excellent opportunity for talented rider! He is easy to trailer, clip, load, shoe, and has no vices. Sound, both with and without shoes. Absolutely the sweetest mare you could ever want, this girl is all heart! 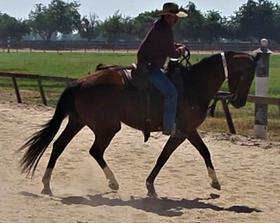 Recently started under saddle after having two foals, Coqueta's gaits are as smooth as silk! She has a fabulous temperament, is not spooky, and is always trying to please. 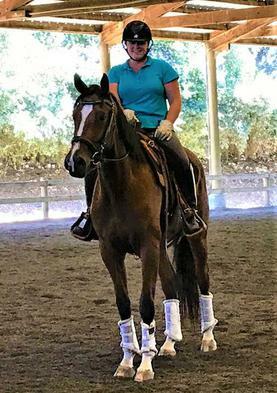 She is a excellent prospect for dressage, western dressage, trail, and/or cow work!